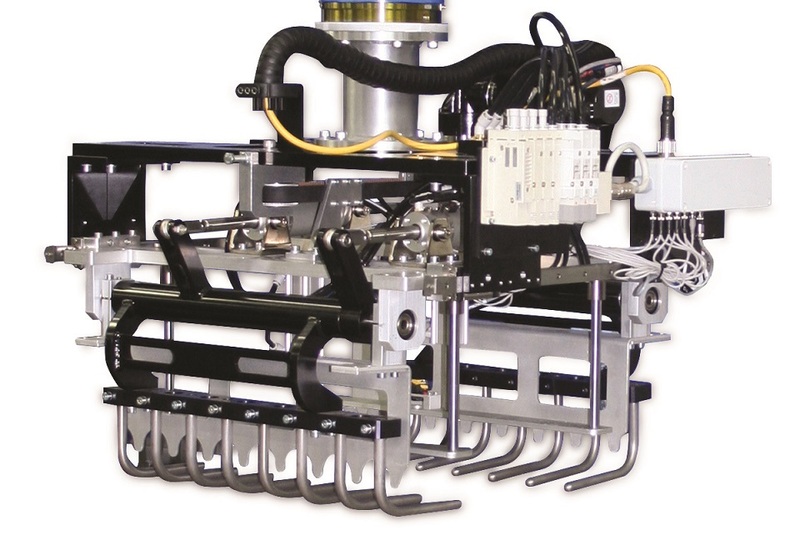 If your automation cell requires a palletizing or de-palletizing end-of-arm tool, Piab offers components and systems that make robots function precisely and efficiently. The modular and custom-machined component designs of these products allow EOATs to operate on any make and style of robot. Piab introduces the first-generation heavy-duty adjustable bag grippers in 55- and 110-lb payloads for palletizing plastic, woven cloth, or paper bags. The grippers come in three versions: fixed bag width (FBG), adjustable bag width (ABG), and servo adjustable bag width (SBG). The FBG fixed width models are used when you only handle a few bag sizes and can be re-adjusted within four minutes to fit the new bag size. The ABG adjustable width model are for a low to medium frequency of bag changes and can be re-adjusted within 30 seconds to fit the new bag size. The SBG servo adjustable model can be adjusted according to your need within seconds and is suitable for the medium to high frequency of bag changes. For all models, independent decking plates square-up and align the bag for precise placement on the pallet and creates a very tight loading pattern. Top-mounted bag clamps maintain bag position on the tool during robot travel to the pallet and allows for high speed and precision in the movement. Slip sheet and pallet hook options are available to increase the flexibility even further. Piab can also create customized tools to exact specifications.